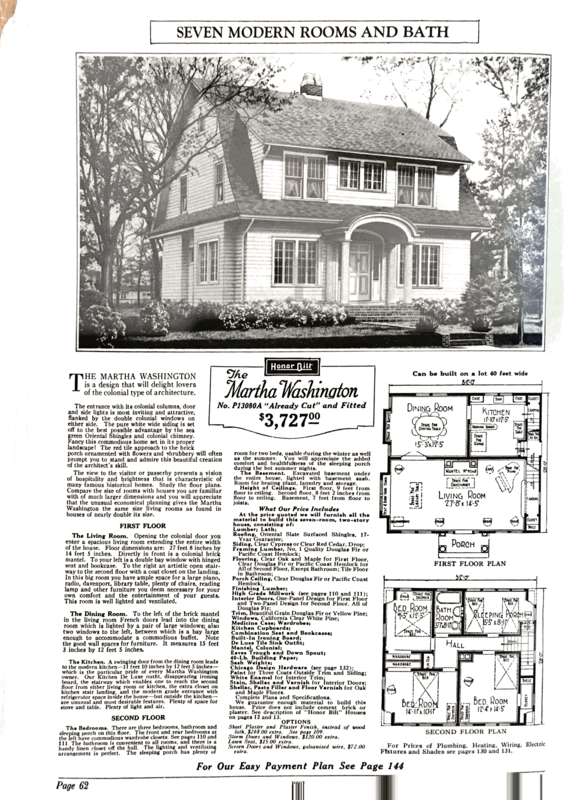 Perhaps not surprisingly, the “Martha Washington” kit house model was rather popular in the District of Columbia in the early 1920s. Sears offered the stately Dutch Colonial in their mail-order catalogs for a number of years. It was not the largest model the company had to offer, but certainly not one of their smaller ones, either. 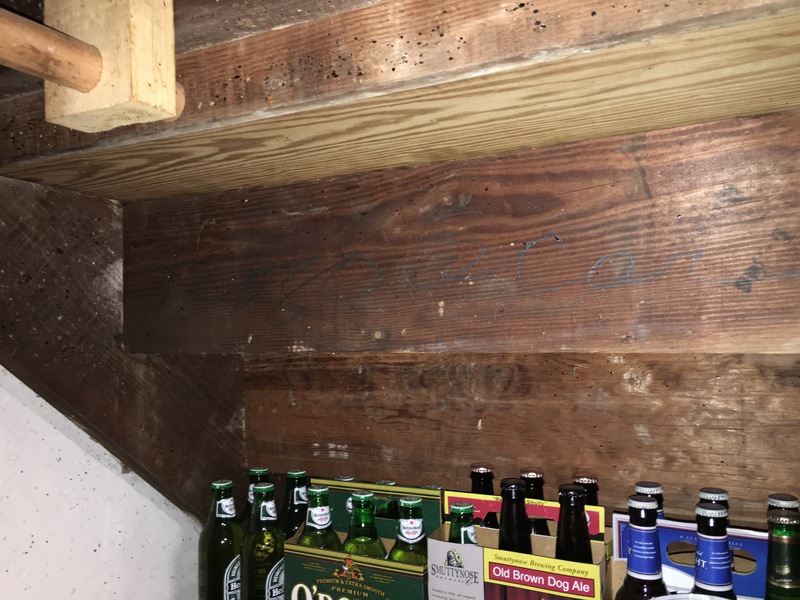 We have identified and authenticated about half a dozen “Martha Washingtons” in NW DC–including one each in Shepherd Park, Takoma DC and Cleveland Park, and two in Chevy Chase. One of these was just listed for sale with our very own office. 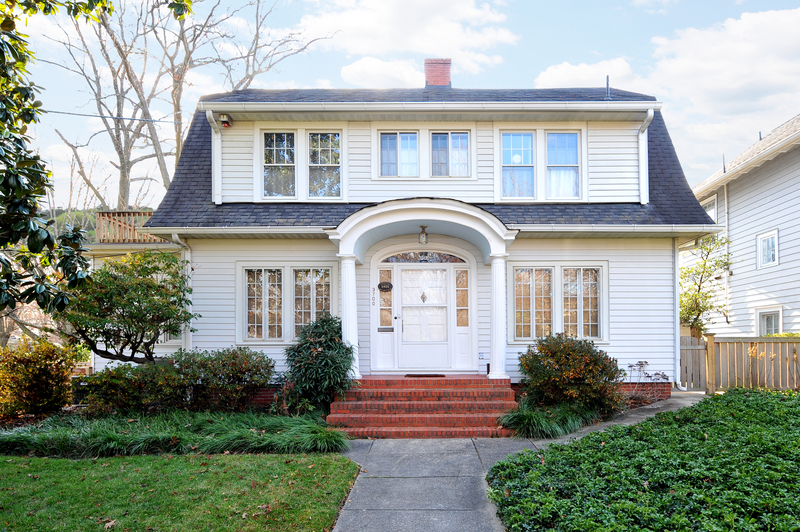 The Chevy Chase house, built in 1925, has got a bunch of things to offer for the kit house enthusiast and the home buyer alike. It’s a warm and charming place in a great upper NW location, walkable to Friendship Heights shopping and Metro. There is an attached garage — a rarity in older city homes — and a flat, landscaped fenced-in backyard. The kitchen has been expanded and updated, the attic finished, and the two (former) front bedrooms have been combined into a larger bedroom/bath master suite. When Michigan kit house researcher Andrew Mutch analyzed the type of Sears houses sold and built in Washington, DC, he came to the conclusion that they differed from those in other parts of the country. They tended to be somewhat larger on average, and were often built not by, but rather for an upper middle class clientele of government lawyers, clerks, accountants, doctors or professors. This house and its history are a case in point. The first owner, according to the 1930 census, was Earl Steer, an attorney in his late 30s. He was employed by the “U.S. Govt” and moved into the house with his wife Carrie and their two young daughters. Carrie was college-educated as well, not the norm for women born in the late 1800’s. Similarly typical was the post-depression picture painted by the 1940 census (after Carrie Steer, now widowed, had moved to LA with her kids). The “Martha Washington’s new owners, John and Mary Richards, lived here with their five children, aged 15 to 26, as well as a young lodger. Apart from the mother and the youngest who who attended high school and college, every single one of the adults was a government stenographer, bookkeeper or “statistical clerk” of some kind. Quite fitting for a house named after a former first lady. The house is listed for $999,500. You can find details and a pdf with pictures here, or please let me know if you wanted to see it. If you think you own (or live in) a Sears house or other kit home and would like some assistance in authenticating it, I’ll be happy to help!